The additive Selenizza® is ideal for manufacturing Mastic Asphalts, with high resistance to rutting and superior waterproofing capabilities. Roofing of industrial, residential and commercial structures with superior waterproofing capabilities. To coat floors in factories & other industrial facilities, particularly those subject to frequent spills or high amounts of chemical use. The additive Selenizza® SLN is compatible with all types of bitumen and its asphaltene content confers to bituminous mixes exceptional rheological and mechanical properties. Better resistance to rutting and punching. 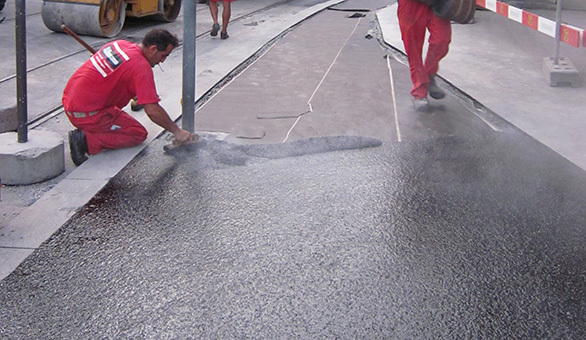 A cost saving up to 17% thanks to the reduced asphalt layer thickness. 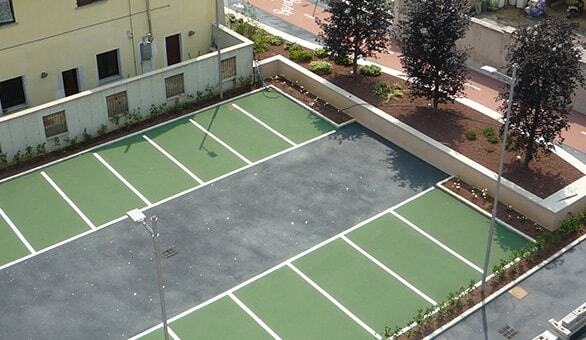 Easy to use: once it is fed into the mixer, Selenizza® SLN is completely diluted in the asphalt mixture. Natural asphalt: directly extracted from the mine, it undergoes only a hot process for purification to decrease the rate of waste components. It can be blended directly with the hot bitumen in tanks, but usually, it is added during the asphalt mixing process (in the mixer for the discontinuous asphalt plants, or in the recycling ring for the continuous plants). Depending on the added quantity of Selenizza SLN and on the characteristics of base bitumen as well, it is possible to obtain precise penetration and R&B softening point values of the resulting binder. Its acidity index enhances the adherence of the constituents of mix asphalt. Selenizza® is completely and uniformly miscible with base bitumen. The resulting high performance asphalt mixes are homogenous and ensure better workability. Pellets with size range from 4 to 12mm packed in 0,8 - 1,4 tonnes bags. Tailor-made weighted bags could be manufactured on customer request depending on the total order amount.